Yogurt There are 6 products. 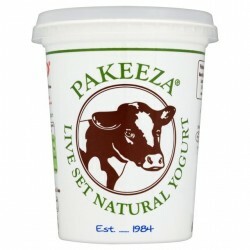 A healthier alternative to our original natural yogurt recipe. 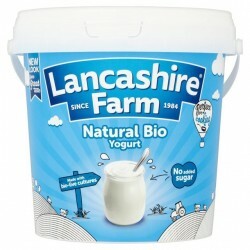 This very low fat natural yogurt still contains the bio-live cultures to guarantee an irresistible flavour. Ideal for use in cooking or can be consumed directly. 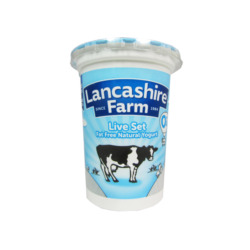 Bringing together British milk with a pair of bio-live cultures (Bifidobacterium BB12 and Lactobacillus acidophilus) this natural bio yogurt is thick, smooth and irresistible. 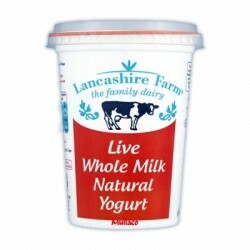 Made with fresh wholemilk, Lancashire Farm is a natural stirred yogurt made from specially selected cultures. Ideal for use in cooking or can be consumed directly. These are made using the traditional bacteria: lactobacillus bulgaricus and streptococcus thermophilus. The word "bulgaricus" is a reference to Bulgaria as it is thought that the origins of yoghurt lie in this area of Europe. 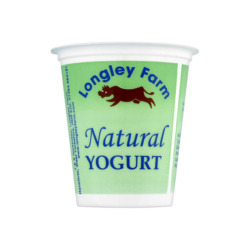 "Thermophilus" means they like to be warm, Our yogurts are fully fermented, which is why they have such a pronounced flavour. 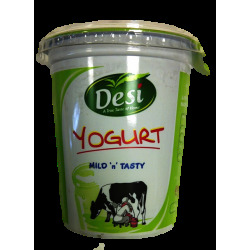 This wholemilk yoghurt has thick and creamy texture combined with a great mild taste. Ideal for use in cooking or consuming directly.